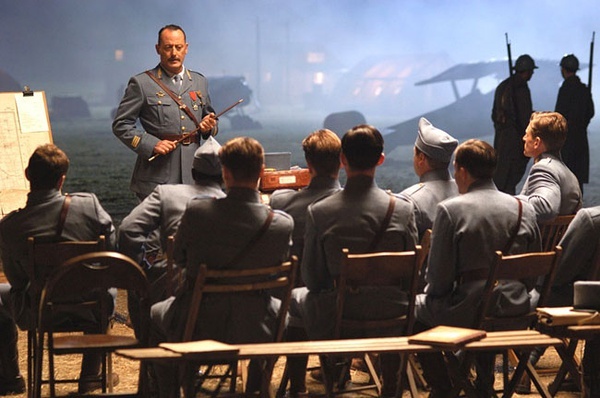 This article is a review of FLYBOYS. I have a theory. It seems that over the last few years the powers that be in Hollywood are attempting to broaden out the base of the so-called male A-List (Tom Cruise, Will Smith, Tom Hanks, Brad Pitt, Jack Nicholson, Denzel Washington, Keanu Reeves, Matt Damon, Nicolas Cage, Leonardo DiCaprio and Johnny Depp), and by A-List I mean those the studios believe can open a movie in the first weekend to potentially huge box-office. This desire to add to their ranks are probably due to a number of factors: they cannot be everywhere at once and be in all movies, as well as, and probably more importantly, their price tags are astronomic – if a greater number of them are jostling for the same projects then potentially it forces down fees. Well, who then has the Establishment got its sights on? It seems to be Christian Bale (BATMAN BEGINS, HARSH TIMES), Josh Lucas (STEALTH, POSEIDON), Colin Farrell (ALEXANDER, MIAMI VICE), Jake Gyllenhaal (JARHEAD, ZODIAC), Hugh Jackman (X-MEN, THE PRESTIGE), Orlando Bloom (KINGDOM OF HEAVEN, ELIZABETHTOWN), Jamie Foxx (RAY, THE KINGDOM), Josh Hartnett (LUCKY NUMBER SLEVIN, THE BLACK DAHLIA), Shia LaBeouf (DISTURBIA, TRANSFORMERS) and Heath Ledger (BROKEBACK MOUNTAIN, CANDY). However, none seem to be convincingly, consistently hitting the top notes. Added to them are the two stars of Flyboys – James Franco (ANNAPOLIS, TRISTAN & ISOLDE) and Martin Henderson (TORQUE, BRIDE & PREJUDICE). This film, due to lack of American cinematic fiscal success and not actually being any good, is unlikely to help these two leads in Hollywood’s current quest. 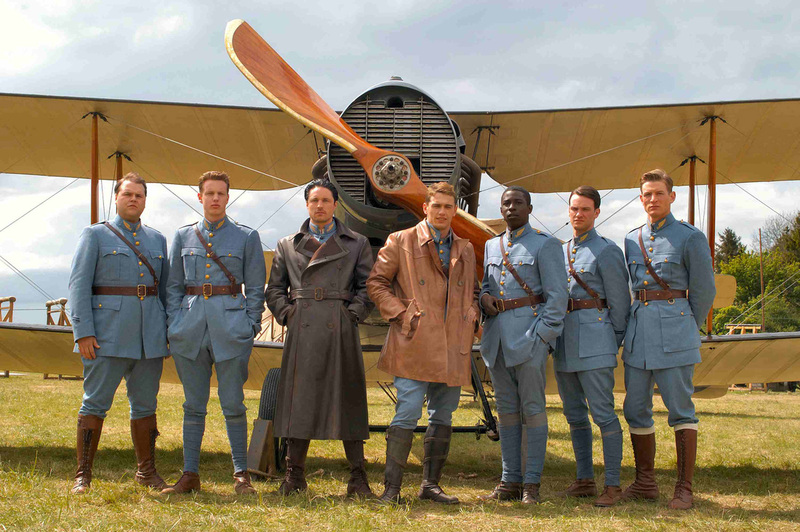 Apart from a brief prologue, the rest of FLYBOYS is set in France, 1916, during the First World War before the USA has joined, and focuses on young American men who wish to join the fledgling French air force, as part of a squadron known as the Lafayette Escadrille, to fight the Germans in this new technology. Blaine Rawlings (Franco) and his fellow newbies are trained as pilots by Captain Thenault (Reno), and are also taken under the wing (ahem!) of US ace Reed Cassidy (Henderson). While the film shows the flimsiness of life expectancy it is essentially an updated old-school boys own adventure of heroics, romance and action. 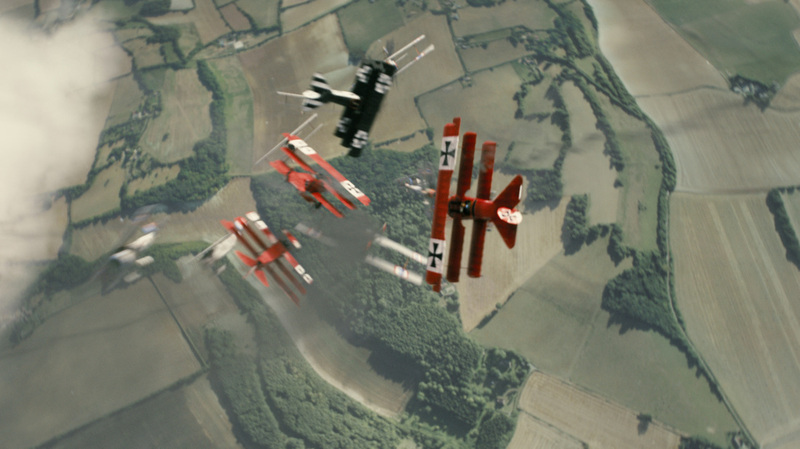 FLYBOYS has a real plus in the fantastic dog-fights, which are well-choreographed and exciting, and the sets which look like no-one was scrimping when the budgets were being allocated. Everything else unfortunately is tedious, predictable and cliché. There is virtually no characterisation, in the same vein as the awful PEARL HARBOUR, to make the audience care about the pilots’ fates, the script seems to have been left in a French larder as the dialogue has the distinct whiff of cheese, and the acting is so clunkily excruciating that emotional signposts can be seen well ahead of their reveal. Even one of the French air force looks like the fake policeman in ‘ALLO ‘ALLO. There is the ever-reliable Reno, but he is ill served by the writing and direction. There also appears to be insensitivity in making an unintelligent, simplistic war film with what is currently happening in the world. While a film need not be a mirror to our troubled times, you cannot help take away from a film what you bring to it. War as unsophisticated heroics does not sit right in our current climate, and could well be a major factor for the film’s lacklustre box-office performance and our eight month wait since its transatlantic release. FLYBOYS makes so many questionable choices. When a burgeoning romance is on the cards the American airman expects the French lovely to learn to speak English (without any irony or knowingness to arguable modern perceptions of American isolationism and imperialism). The courtship felt all wrong, like the French peasant should feel lucky to be being wooed. There is also dangerous moralising; one of the characters is a bank robber and later he loses a hand in combat. 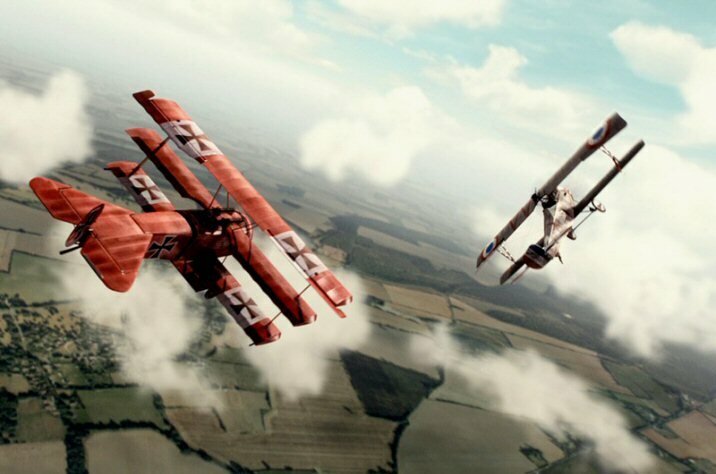 The First World War is rarely depicted in film. There are the odd exceptions like the excellent romantic-detective story A VERY LONG ENGAGEMENT. Arguably the First World War is not a popular period because the build up to it and the context of its commencement are complicated, and there are no clear culprits like the Nazis. Thus the simplicity on show in FLYBOYS feels uncomfortable. Producer Dean Devlin, who has been working with director Roland Emmerich most of his career behind the camera (UNIVERSAL SOLDIER, STARGATE, INDEPENDENCE DAY, GODZILLA and THE PATRIOT), has perennially gone for sentimentality and one-dimensionality throughout much of his back catalogue. FLYBOYS begins with a brief introduction that ends with “...and a new kind of hero was born.” Those words are enough to drain the joy from a film before it even starts. Since this film was originally released Clint Eastwood has helped redefine and question the nature of war heroism through his one-two punch of FLAGS OF OUR FATHERS and LETTERS FROM IWO JIMA, which surely has put the nail in the coffin of this kind of film.